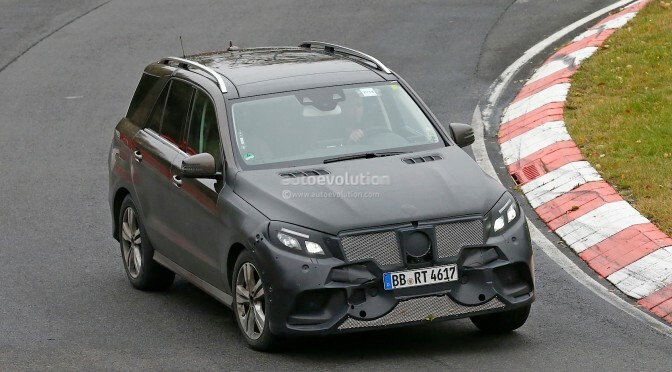 First spy photos of the new model doesn’t show too much, parts of front fascia are covered with black sheets, which indicates that this model will come with the new grille and bigger three point star in the middle. It might be a slightly redesigned twin bar grille that comes with almost all new generation Merc vehicles or something. Other than that new model will come with powerful looking lower intake an slightly redesigned headlights. Interior styling of 2016 Mercedes ML PHEV hasn’t been revealed yet, but we believe it is going to come with recognizable luxurious touches that can be seen throughout Mercedes line up and especially in the regular ML model. We might expect Pre-Entry Climate Control, powerful sound system, a lot of woodtrim and aluminum inserts, soft touch materials all around and leather upholstery on heated and ventilated seats. We think that the new model is going to come with a lot of cabin and cargo space, probably little bit less than the regular GLE, because it needs some space for the 2,8 kWh battery, but a lot comparing to other vehicles in its class. Performance segment is the one we expect the most from. New model will come with similar engine as the 2016 Mercedes Benz C350 Plug in Hybrid that was presented on 2015 North American International Auto Show. This means it will come with 2,0 liter four cylinder engine. It will be able to drive for 32 miles without any CO2 emission and on 100 km it will get less than 60 grams, which gives certain tax deductions for the low emission output to its buyers in certain states.Its gas engine will come with around 200 horsepower and it will be combined with 65 horsepower electric motor and seven speed automatic transmission system. When it comes to price we believe that 2016 Mercedes Benz ML PHEV is going to be much more expensive than the regular ML model, this price jump might be even bigger than $5,000. New model is testing at the moment and it will probably be presented on some of the major auto shows in the future, maybe even next month in Chicago. Main rivals of this crossover will be BMW X5i and Porsche Cayenne S E-Hybrid. 2015 NAIAS: 2016 Mercedes Benz C350 Plug In Hybrid 2016 Mercedes Benz AMG GT S Performance, Price, Photos, Interior, Exterior Styling, Handling etc. 2015 Mercedes Benz B Class Electric Drive 2016 Mercedes Maybach S600 Interior, Exterior Styling, Performance, Price, Release Date etc.